Chef Toshihiko Oe is the sushi chef of Masuya, a traditional Japanese restaurant in the CBD. Washoku Lovers met Chef Oe at his restaurant in the CBD, Masuya. Washoku Lovers: How long have you been cooking professionally? Washoku Lovers: How long have you been living in Australia? Washoku Lovers: Were you a chef in Japan? Washoku Lovers: Where did you train to cook “Washoku”? 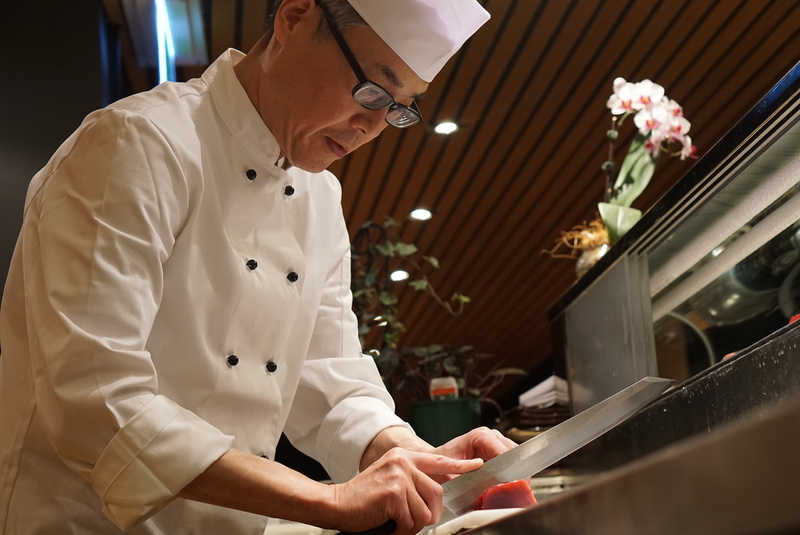 Chef Oe: Tokyo and Osaka – Sushi restaurants – but I’m still learning now every day. Washoku Lovers: Were there any opportunities to start to learn “Washoku”? Chef Oe: When I was at Uni, visiting Spain to see the world I met the owner chef of a Japanese restaurant. He took me sightseeing in Spain and we spent around two weeks together. I was heavily influenced by him with that experience and I told him about my dream, which was to become a chef overseas. He suggested to learn sushi if I wanted to be a chef overseas. Washoku Lovers: What do you think about cooking Washoku” out of Japan? Chef Oe: It was a very different environment in the early days but now we can get almost all Japanese seasonings and ingredients here in Australia – so it is much easier and more satisfying nowadays. I think it’s important to keep the traditional aspects of Japanese cuisine present in your food – but fusion and learning how to integrate with other food culture is also good. Washoku Lovers: Do you have a “Washoku signature “dish” or a“ favourite Washoku dish” you enjoy cooking? Chef Oe: I enjoy thinking about new menu more than actual making it. I enjoy imagining how customers enjoy my dishes. My favourite dishes are all about choosing the best and freshest quality of ingredients – MEKIKI which means to choose the best quality of ingredients and the way to cook to showcase the best features of the ingredients .. for example Nitsuke – simmered fish and Nimono –simmered liver. Washoku Lovers: What’s your opinion on mixing Washoku with other food cultures? Chef Oe: I think “fusion” has a culture itself but the fundamental and traditional aspects need to be saved and not lost in any fusion style. That’s’ why I think it is important to educate and know the fundamental and traditional aspects. Washoku Lovers: Is there another chef that you most admire? Washoku Lovers: Any advice (suggestions) to Washoku Lovers when they eat Washoku? Chef Oe: When you have sushi at sushi counter, let me explain about fish which I choose every day from the fish market. I’m trying to let you know the Sushi counter culture. In the future, I am hoping customers could order what they want by chatting with me. 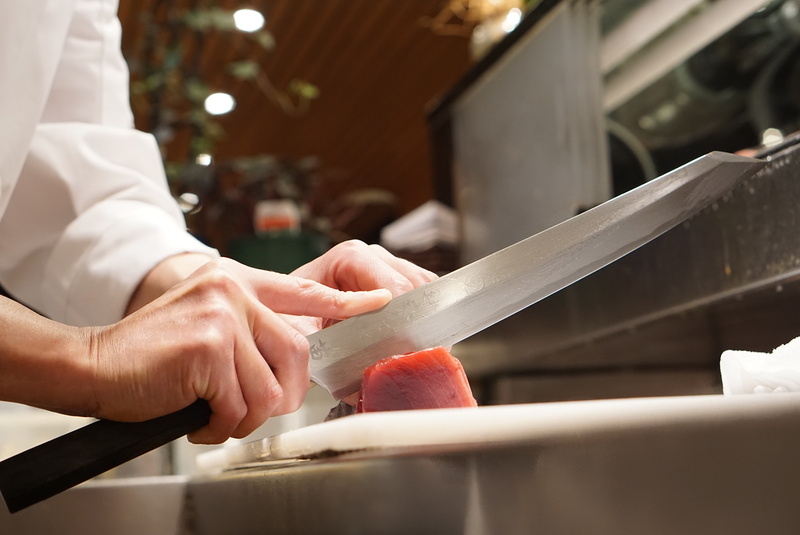 Washoku Lovers: Any advice you would give to someone wanting to become a chef? Chef Oe: To become a sushi chef is the job to make people happy through the food we are making. It’s important to have the basic goal to make people happy even though you may not be feeling great. Washoku Lovers: Any final thoughts you would like to share to Washoku Lovers? 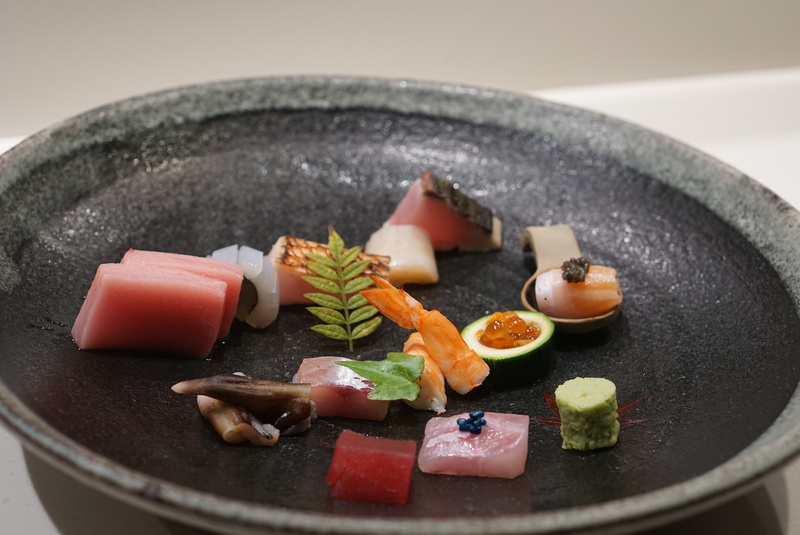 Chef Oe: One day, I am hoping all Washoku Lovers will know the tradition and thinking behind the dishes made for you – including the Japanese history and culture associated with that dish.